We are three friends in our mid-20s who love exploring this magnificent world. We feel very fortunate and blessed to have that kind of luxury, so for our trip to Kenya, we wanted to see if there was more we could do with our travels. We knew we wanted to donate school supplies, but we weren’t sure what to bring or who to contact. On Pack for a Purpose, we found Village Life Safaris, which funds Joy House in the Mukuru slum in Nairobi. Before we left, we took a trip to Target (in the United States) to take advantage of their buy one, give one campaign – double win! We went bananas in the back to school section, loading up our carts with notebooks, pencils, pens, crayons, and first aid kits. After a few quick email exchanges with Isaac at Village Life Safaris, we had arranged an afternoon school visit to drop off our supplies. 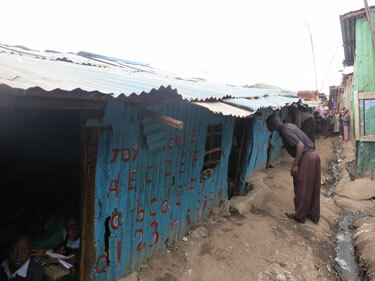 We weren’t prepared to see the conditions of the Mukuru slum. Seeing the number of children in this community unable to attend school, we were grateful that Joy House serves as much as they possibly can. 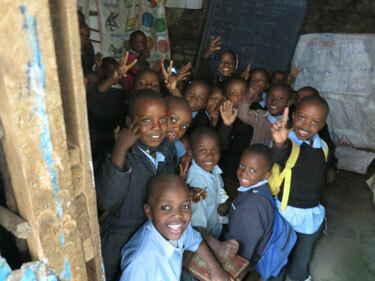 Despite the living standards in Mukuru, the students are just like any other kids — from joyous and cheerful kindergarteners to too-cool-for-school tweens. We were impressed to see the kids learning high school level science, and humbled by the teachers’ dedication and positivity. A big thank you to Isaac, who not only helped us arrange this visit and donation, but also gave us insight into the educational and economic situation in Kenya. We hope that many more visitors take the time to visit this beautiful country and support its growth.